They could have named Knight Commander after champion trainer Darren Weir. The Master Of Design sprinter was the fourth winner for Weir at Moonee Valley on Friday night and he’s only just coming good according to jockey Damian Lane. “Darren and his team do a great job and this horse has a lovely nature. He made the most of a good gate tonight and cruised into the race when I said ‘go’,” said Lane. Knight Commander’s victory in the After The Last At Legends Hcp (1200m) improved his record to 3 wins in 5 starts since a Kyneton maiden on debut in November. Darley imported his dam Sharp Awakening (Selkirk) before selling the British-bred mare to Rodney Rae’s Thoroughbred Racing Bureau. Knight Commander has been her only named foal since changing hands at Oaklands in 2010. Master Of Design sired his latest maiden winner on Sunday when Riverdance Lad lobbed at Great Western. The Robbie Griffiths-trained 3yo started an odds-on favourite following a narrow loss at Mornington last month. Riverdance Lad is the first foal of Waltzing Lily (Golden Snake) from a prolific winning family for Monomeith Stud’s Ross Hennessy. Her half-brother Diggersanddealers won 10 races and was stakes placed at Caulfield. Second dam Reel Lover (Celtic Swing) was a half-sister to 8 winners including Inspire (G3 VRC Carbine Club Stakes). The long-weekend double book-ended a stakes-winning update for Master Of Design’s family in South Africa. His half-sister Traceability foaled Traces (Snitzel) to a dominant victory in the LR Summer Juvenile Stakes (1000m) at Kenilworth on Saturday. Master Of Design (Redoute’s Choice) stands at Greta West Stud and he currently leads Moshe, Toorak Toff, Skilled & Ilovethiscity among Victorian-based sires chasing Helmet for third-season honours in 2017-18. 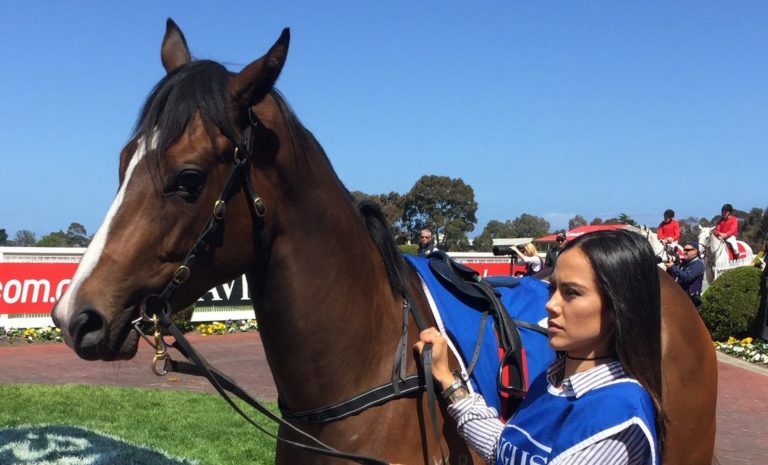 Lauriston Lady seeks a Blue Diamond for the battlers! 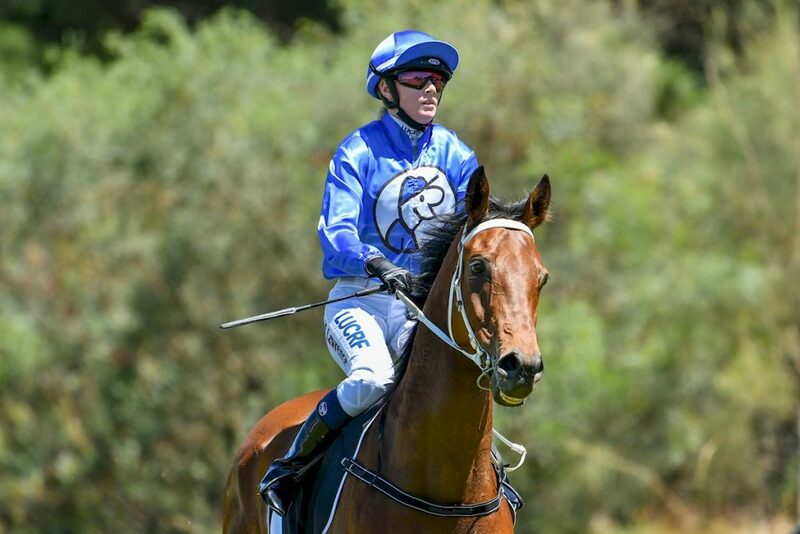 Proving that size (or sales price) doesn’t matter, Lady Horseowner, the tenacious filly bred at Euroa’s Lauriston Park, triumphed over a talented field on Saturday and now has the prestigious Blue Diamond Stakes in her sights. 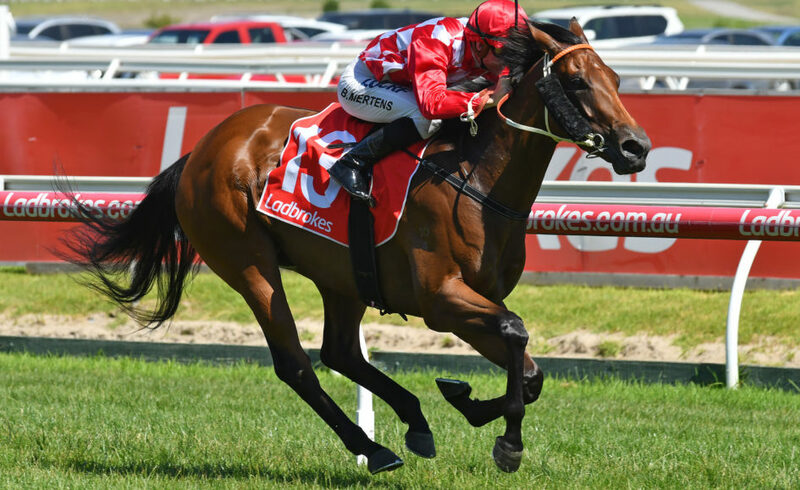 When the favourite, Pure Elation, began to weaken in the last 100 metres, Lady Horseowner speared between runners under Nikita Beriman to claim Saturday’s Group 3 Ladbrokes Blue Diamond Preview (Fillies) over 1000 metres at Caulfield. 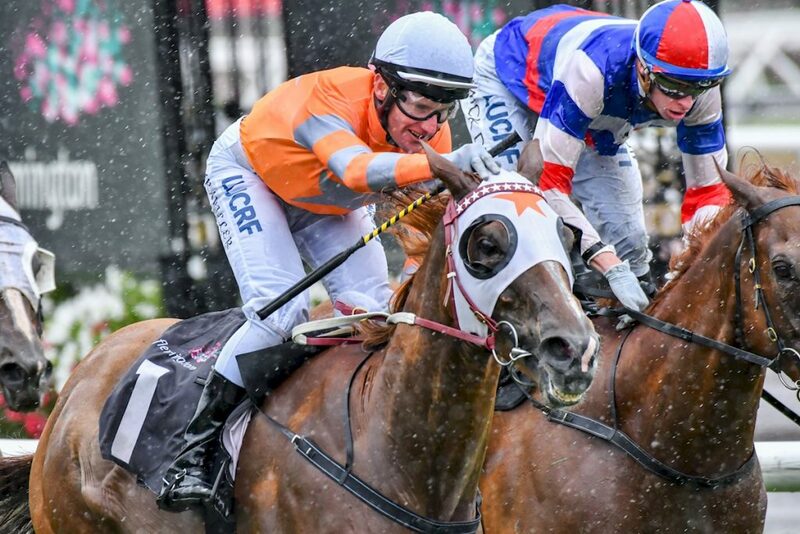 Backing up from her career debut win at Moonee Valley in December, the Greg Eurell-trained two-year-old filly again captivated her trainer with her fighting spirit. “She’s not very big so we thought we’d have to try and capitalise on her size and try to get her into the right races. Everything she has done, she has done very professionally all the way through,” Eurell said. That is certainly music to the ears of Lauriston Park’s Chris and Kathie Bakker and their loyal clients and the filly’s owners Paul and Carol King. “We won the Blue Diamond twice last night in my dreams and, at the moment, the dream is very much alive,” Paul King said. “At the 200-metre mark, you wouldn’t have given her a hope, but her closing speed was amazing. She will run 1200 metres no worries, she will probably get 1400 metres. “Her dam, Kid Gloves was best at 1400 metres and was very fast. I raced her with Colin Little and, although she had a few issues, I knew she was going to make a good broodmare. “I wanted to breed speed on speed and (former Swettenham Stud shuttler) Equiano was my best bet. With her Fastnet Rock cross, she just clicked with him. “The sales company did me a favour rejecting her (Lady Horseowner), as I would not be racing her now, and she may not have ended up with Greg Eurell. Broodmare Kid Gloves now has a yearling filly and a filly foal by another Swettenham shuttler in the dual Group 1 winning son of High Chaparral, Toronado. Lauriston Park’s Chris Bakker opinion is that there are big things ahead for the petite filly. Lady Horseowner resembles another tough little galloper, Miracles of Life, who took out the Blue Diamond in 2013, reminding us all to never underestimate what these feisty, tough, and talented fillies can produce. A young horse who can easily clear the gates at Macedon Ranges farm Miranda Park took out the Listed Hobart Guineas on Sunday. 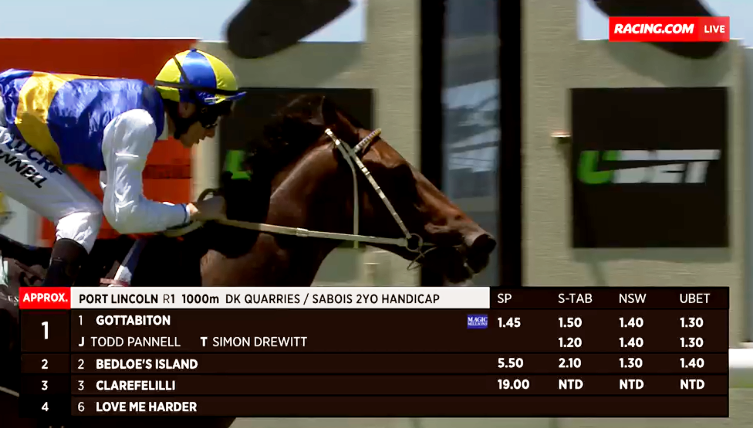 Wolfendale, bred at Miranda Park by Virginia Frith and trained by Darren Weir carried out a successful raid on the $100,000 Tasmanian race and is now being set for the Tasmanian Derby. The lightly raced three-year-old secured the stakes victory by half a length under the ride of Dean Yendall over the 2100 metre distance. Retained to race by breeder Virginia Frith, Wolfendale is owned in equal partnership with Miranda Park’s owners Gary and Helen O’Meara. “I have no illusions of grandeur, but he is a little ripper and has been a good investment in the end,” Gary O’Meara said. Wolfendale was bred out of the Carnegie (Ire) mare Skibo, who Virginia Frith’s mother raced with much success in New Zealand, and is sired by former Eliza Park stallion Astronomer Royal. “I bred quite a few to Astronomer Royal, and I particularly liked this colt, so I purchased half of him as a yearling,” Gary said. 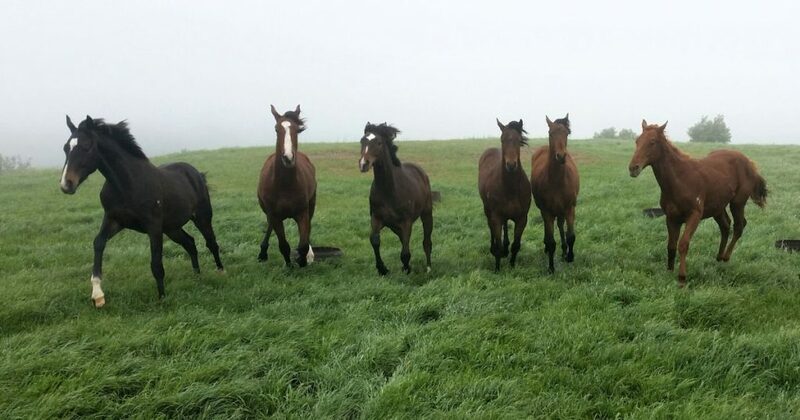 “Our farm is the perfect set up for yearlings to grow and develop, as the hills allow the colts to expel some energy and lay down good, solid bone. Wolfendale is a true product of Miranda Park, as his mating, foaling, rearing and breaking was all done at the farm. He even happily returns to Gary and Helen to spell. Wolfendale had won two of his three previous starts, and now brings his near perfect record to three wins and a second from just five starts, with $93, 825 in prize money. “He has now returned to Weir’s Ballarat stables to be prepared for his attempt at the Hobart Derby on the 9th February, but unfortunately he will come up against his stablemate and toughest rival, in Civil Disobedience,” Gary said. And once his flat racing days are over, O’Meara has high hopes that he may make it as a talented steeplechaser. “He can jump like a stag, as I remember him easily clearing a gate here one day,” Gary said. 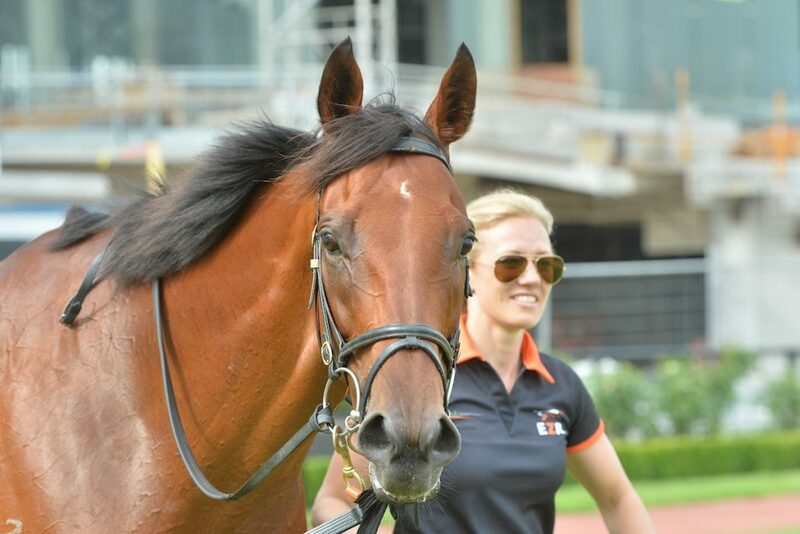 Widgee Turf – the next VOBIS superstar? Jaegers’ ‘Big V’ is the bomb! Tylden breeders the Jaeger family and Swan Hill’s famed racing family the Coffeys must have slept well on Sunday night after the dual country cups success of Vianden. The son of Riverbank Farm sire Von Costa De Hero has been galivanting around the Victorian countryside over the past two years and almost taking cups at will. 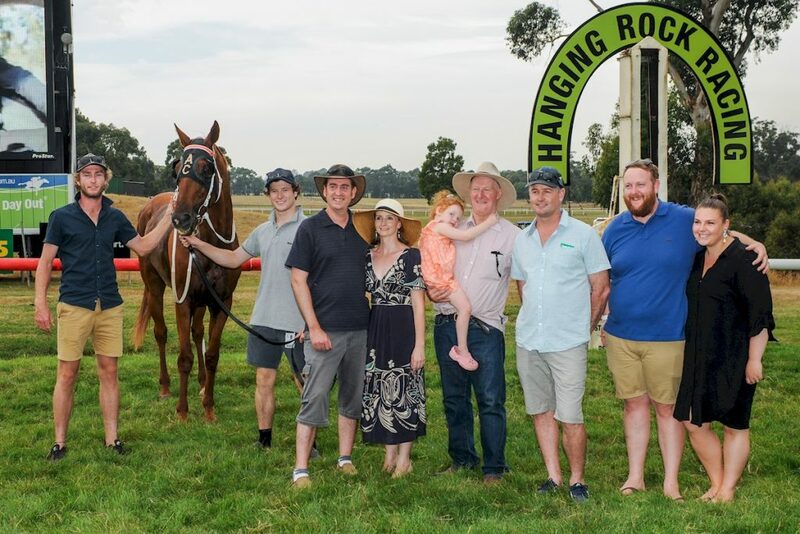 Over the Australia Day weekend it was the Hanging Rock Cup on Friday followed by the Great Western Cup on Sunday that were claimed by the gelding. The trophy cabinet must look very impressive with two cups from Mt Wycheproof, two from Nhill, Burrumbeet, Hanging Rock and now Great Western, as well as the feature Italian Plate at Tatura. Harry Coffey has been on board for all for all bar one of those successes. Dad Austy trains the horse. Other family members including Mitch, Kailla and their daughter Lacie along with family friends have a stake in the horse. And they are joined by the breeders of Vianden, the Jaeger family. 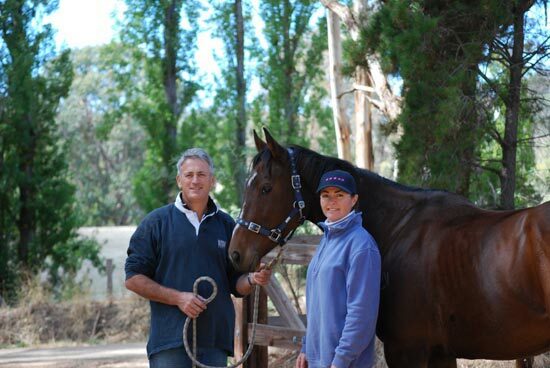 Mark and Amy Jaeger, who are based in Tylden with their young family, moved to the Macedon Ranges about ten years ago to breed a few racehorses. “The weekend was so exciting; it’s great for the bush, great for the Coffeys and great for small breeders like us. Unfortunately, we have had a lot of bad luck, so it is nice to finally get a good one,” Mark Jaeger said. “I went to Marcus Oldham College with friend and fellow owner Mitch Coffey who was working next door at Woodside Park Stud. “Together we decided to race Vianden, so I leased him out to all the connections retaining about 20-25 per cent and we have had fun racing him together ever since. “Unfortunately, we sold his dam Quintenella, after she had the Von Costa De Hero foal as, coupled with two small children, I just didn’t have the time and scaled back my numbers. Mark says the Vianden Country Cups storyline almost didn’t happen. Mark expects Austy may now aim to the lucrative VOBIS Gold raceday at Caulfield in April. 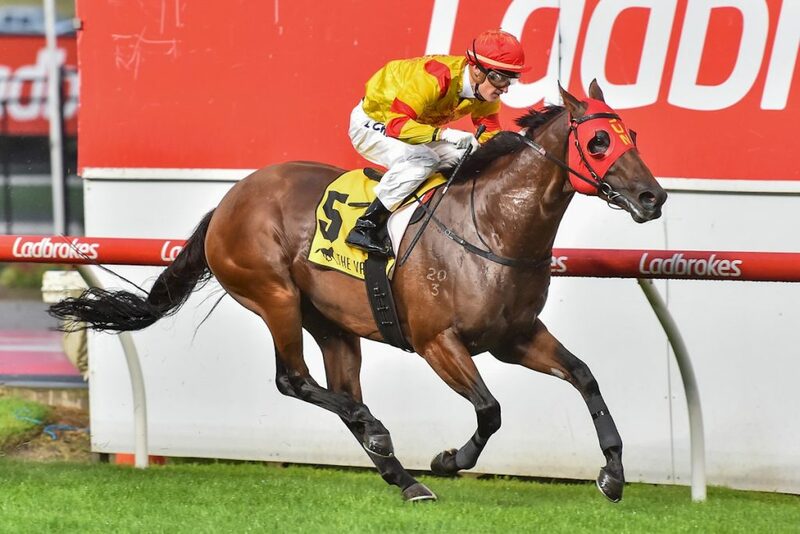 Therefore, speedy entire, Thronum, ticked a very big box under the lights at Moonee Valley last Friday, capturing the Group 2 Australia Stakes over 1200 metres for owner Sun Bloodstock. Since purchasing Victoria’s Eliza Park – now Sun Stud – as its Australian base in 2013, the Hong Kong owned Sun Bloodstock has made a significant investment in the Australian industry, purchasing a number of colts annually in the hope of producing a top level performer that will translate into a highly sought after stallion prospect. It’s not a novel approach, hence the crowded field at the top end of the yearling sale market, but it makes good sense when established Group 1 stars of the turf often generate tens of millions when their racing days are done. Leading throughout in the Group 2 sprint, Thronum held off strong challenges from Group 1 Rupert Clarke runner-up Mr Sneaky, Boxing Day stakes winner Stellar Collision and Japanese flyer Brave Smash to notch up his fifth win from ten outings. Previously trained by Gai Waterhouse and Adrian Bott, Thronum won the Listed Rosebud at Randwick in August 2016 and was third in the Group 3 Up And Coming Stakes, before a lengthy spell. 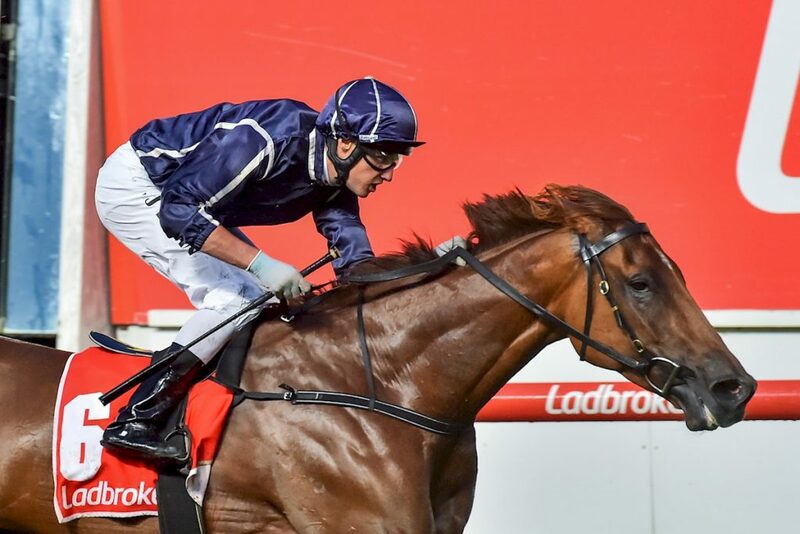 He then resumed last November under the guidance of the Lindsay Park team, where he won at Bendigo by five lengths and was then third – beaten a neck – in the Group 3 Kevin Heffernan Stakes. “He (Thronum) had a minor tendon issue and that’s why he was on the sidelines for all that time, but he’s really matured and benefited from the uphill tracks at Lindsay Park,” Sun Stud’s Operations Manager, David Grant, points out. “He’s come back in terrific order. “There’s any number of (Group 1) options open to him … the CF Orr Stakes over 1400m in a fortnight (10 February), the Oakleigh Plate (24 February) or the William Reid (23 March). 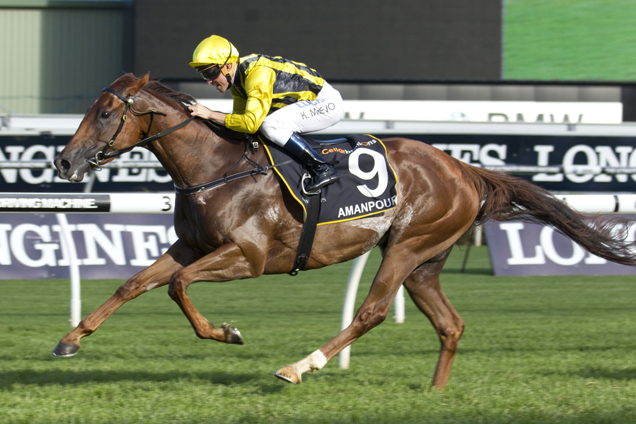 Sun Bloodstock purchased Thronum for $300,000 at the 2015 Inglis Australian Easter Yearling Sale and bloodstock advisor, David O’Callaghan, agrees that Group 1 success is the ultimate goal. “Thronum has probably enhanced his stud value at least ten-fold following the Australia Stakes win, while given his breeding, a Group 1 would make him an extremely lucrative stud prospect,” O’Callaghan reveals. “There was a lot to like about Thronum at Easter,” O’Callaghan reveals. 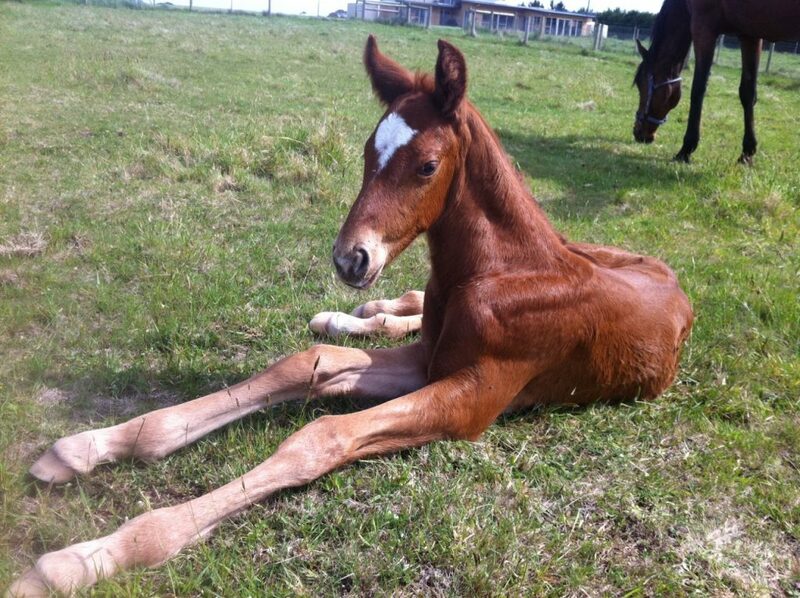 “He was a late November foal, but a very good-looking colt all the same. “He’s by Snitzel and his granddam is a half-sister to Street Cry, who aside from Winx, is also the sire of Champion American mare, Zenyatta and the Australian-bred Group 1 winner in South Africa on Saturday night, Oh Susanna. Meanwhile, Street Cry’s half-sister is the dam of Champion Sire, Shamardal. 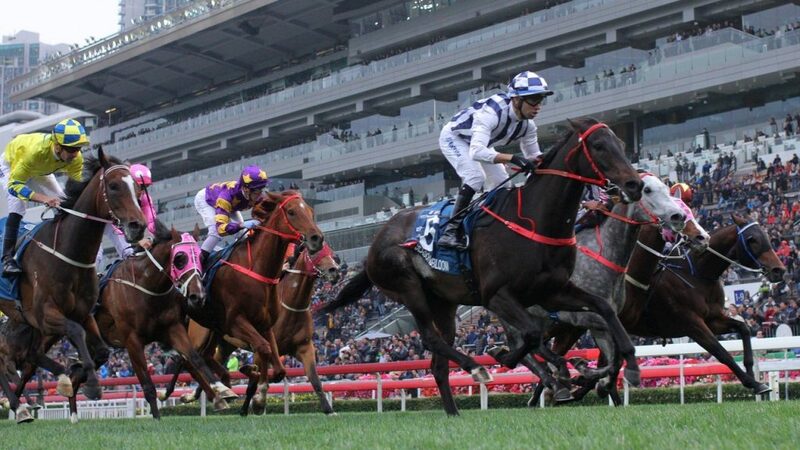 The success of Australian horses racing in Hong Kong was again front and centre at Sha Tin on Sunday with Ampulla Lodge pinhook Seasons Bloom notching up a highly impressive victory in the Group 1 Stewards Cup over 1600 metres. This was the first Group 1 victory for Seasons Bloom and follows the 5YO’s previous best win in November’s Group 2 HKJC Jockey Club Mile along with a fourth in the Group 1 Longines Hong Kong Mile in December. Having raced initially in Australia – for Peter Moody when fifth of fifteen and then with Brendan McCarthy for his maiden victory at Pakenham – Seasons Bloom has now raced 14 times in Hong Kong for six wins, three placings and over AU$3 million in prizemoney. Not bad for a horse that cost Ampulla Lodge just $26,000 as a weanling! The son of Captain Sonador was bred at the Nolan family’s Raheen Stud in Queensland and is out of Pyramisa’s Lass, a half-sister to South African Group 2 winner, Sharks Bay and from a sister to Group 2 QTC Cup winner Pembleton. Raheen Stud offered Seasons Bloom at the 2013 Gold Coast Magic Millions National Weanling Sale where he was snapped by Ampulla Lodge, a renowned pinhooker. However, it soon became apparent to Ampulla’s Steve Jostlear that Seasons Bloom wasn’t about to ‘bloom’ any time soon. “He (Seasons Bloom) had a magnificent walk on him, with a great hindquarter and a fair bit of length, but he was also small and fairly immature,” Jostlear recalls. Jostlear points out that despite his obvious speed, stable life wasn’t to Seasons Bloom’s liking and he refused to eat – either at Moodys or McCarthys. “Once he was back in the country though he thrived … we tried everything when he was boxed – putting him with mates, ponies, changed his feed – but nothing seemed to work,” Jostlear explains. Following the Pakenham Maiden victory, the Jostlears were offered big money to sell the horse into Hong Kong and the rest, as they say, is history. Purchasing around 10 to 12 youngsters annually for the past decade, Seasons Bloom is one of seven horses that Ampulla Lodge has sold to Hong Kong, for seven winners. A Blooming good result all round! 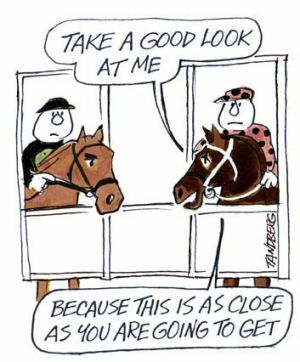 Renowned Fairfax cartoonist and member of Victoria’s thoroughbred breeding and racing industry Ron Tandberg recently passed away aged 74 after a battle with cancer. Those close to him such as Kyneton trainer George Osborne and friend, former colleague and co-owner Nigel Henham all spoke highly of a man who simply loved his horses. His homebreds notably wore blue colours with a distinctive Tandberg cartoon incorporated. 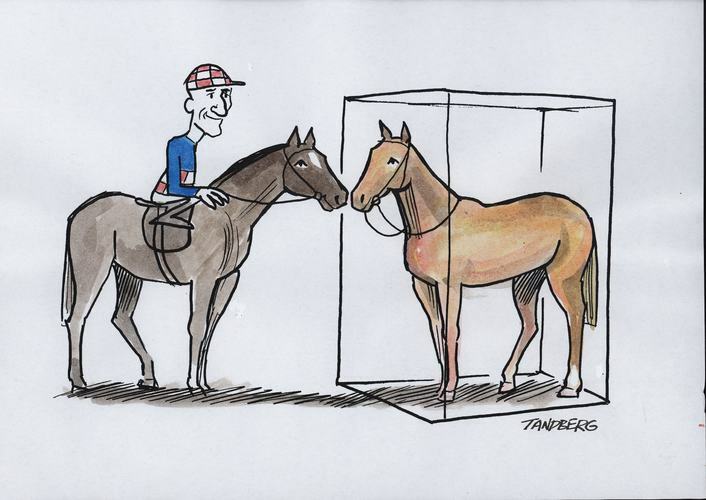 Tandberg often had five or six homebred horses in the stables at any one time whether it was with Clarrie Conners, Kelvin Southey or, for the past eight years, with Osborne at Kyneton. He first achieved major race track success in as a part owner of the Clarrie Conners trained Skalato who won the Group 2 AAMI Vase at Moonee Valley on W.S. Cox Plate Day in 2000. But, famously, Skalato was also first past the post in the Caulfield Guineas two weeks prior only for the win to be taken away from him six weeks later after the victor returned a positive to an anti-inflammatory drug. The incident would, however, not steer Tandberg away from the industry. Instead he became more involved and more passionate about his horses. Henham, who co-owned several with Tandberg including his homebred 2010 Pakenham Cup winner Blaze Adrift said he was a thinker who had firm views about the welfare of his horses. “He cared a lot about the welfare of the animal. He was a lovely, lovely character. Ron always had his camera with him and loved taking pictures of his horses,” Henham said. George Osborne couldn’t speak more highly of Tandberg. “I have been training for 27 years…he is right up there at the top of the list (as an owner). He loved his horses. “When he did come up to the stables, he spent an hour patting his horses. “I would speak to Ron religiously about his horses after each race…he just loved to talk about his horses. “He also had an appreciation for the small things in life. I remember we won at Camperdown once. He had the best day and didn’t want to leave. He was awarded a book about the history of the race club and really treasured that book. “He was a wonderful man,” Osborne said. Osborne says Tandberg passed away with shares in four horses still with him at Kyneton. This included recent Deniliquin Cup winner and New Year’s Day Burrumbeet winner Shy Frank. 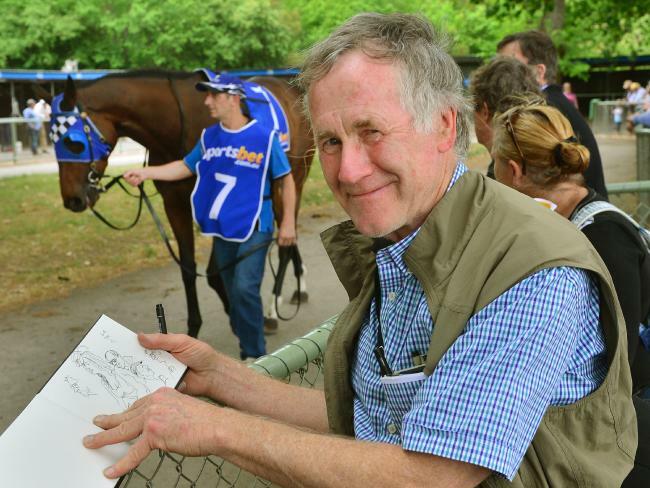 TBV offers it sincerest condolences to Ron Tandberg’s family and friends. 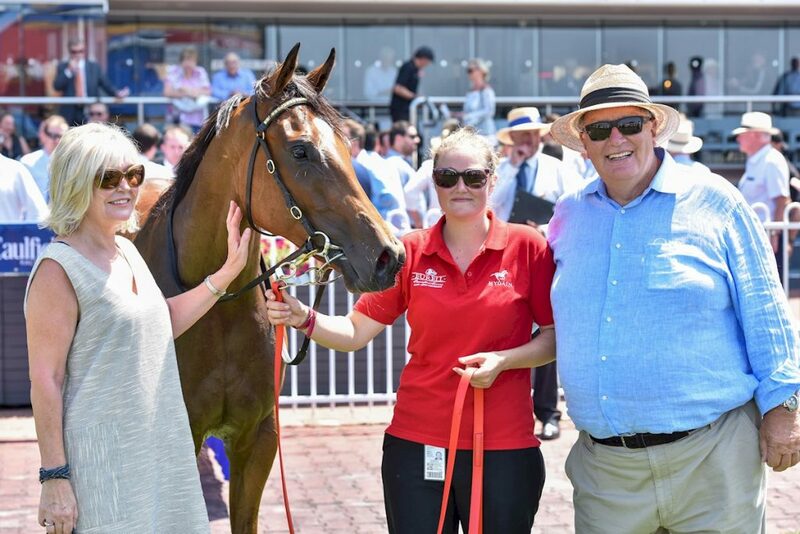 Former Mornington Peninsula breeders Mark and Cassie Stanaway received a surprise on the weekend when Rock’n’Gold, a horse they bred seven years ago, was victorious in the Listed Kensington Stakes at Flemington. The Stanaways, who are no longer in the breeding industry, were thrilled with the win up the Flemington straight.. The Ellerton-Zahra trained galloper was the outsider in an experienced field, but took the win and advanced his record to 7 wins and 17 minor placings from 40 starts, for earnings of $404,900. A half-brother to Listed stakes-winner Antidotes, he is the eighth foal and fourth winner out of the winning Geiger Counter mare Goldberg, a daughter of the Group 1 VRC Oaks heroine Tay Eclipse. Goldberg is a half-sister to the dam of Group 3 winner and VRC Oaks runner-up Dane Beltar (Danewin), the dam of triple Group 1 winner Fawkner and Group 2 Adelaide Cup winner Tanby. “Goldberg was just a fabulous broodmare, and we bought her for a song. I think we only paid about $15,000 for her,” Cassie Stanaway said. “Unfortunately, we sent her to stallions for a couple of years that didn’t fire commercially, and we did our money, which was disappointing. “It’s a hard game, and it can be a long time before you get the rewards like Rock’n’Gold produced on the weekend. No longer breeding, Cassie says her and Mark loved the industry, but admits it was hard work. Goldberg was retired in 2015, with her final foal an unraced three-year-old colt called Mister Mogul (Written Tycoon) in the stable of Henry Dwyer. The success of Robert and Sylvie Crabtree’s Dorrington Farm, now based at Nagambie, continues to roll on providing a significant fillip for their yearlings being sold in coming months. Dorrington Farm bred winners this year have already included the likes of Cavalero (Helmet) at Flemington and impressive two-year-old Enbihaaar (Magnus) on debut at Morphettville. But it was the Crabtrees’ beautifully bred filly Bella Martini (Stratum) saluting in the $150,000 Listed Gosford Guineas that was the real standout. The success gave Bella Martini’s dam, Silverbeat (Distant Music), an astonishing fourth individual stakes winner. Bella Martini was the first stakes-winning female from the mare along with her other Dorrington Farm bred half-brothers, Alpha Beat, the Singapore trained Volcanic General and the Group 2 winner, Upbeat. Importantly, for the Crabtrees it put some more black-type into the sales page of the yearling half-sister by Snitzel being offered at April’s Inglis Easter Yearling Sale. Rob Crabtree said the yearling filly is one of three outstanding youngsters offered by Dorrington Farm through the Segenhoe Stud draft. “It’s a great result with Bella Martini’s half-sister going to Easter, and being a stand out type by Snitzel, she is a cracker. If she heads in the same way as Bella Martini, it could be the fifth stakes winner for Silverbeat,” Crabtree said. 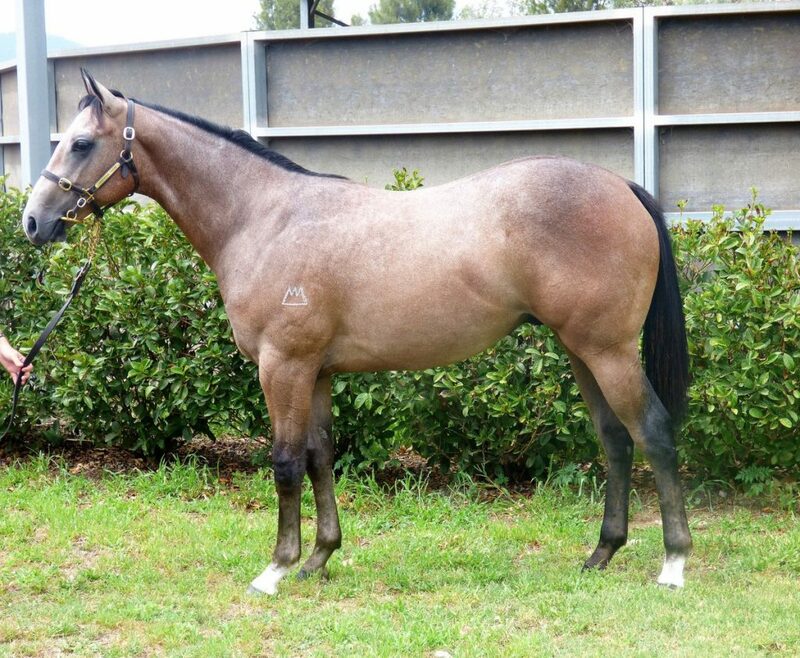 The other two yearlings heading to Easter include a lovely Medaglia D’Oro filly out of the Fastnet Rock mare Gybe. Gybe is a dual Listed winning mare from the family of Champion NZ two-year-old, Anabandana. 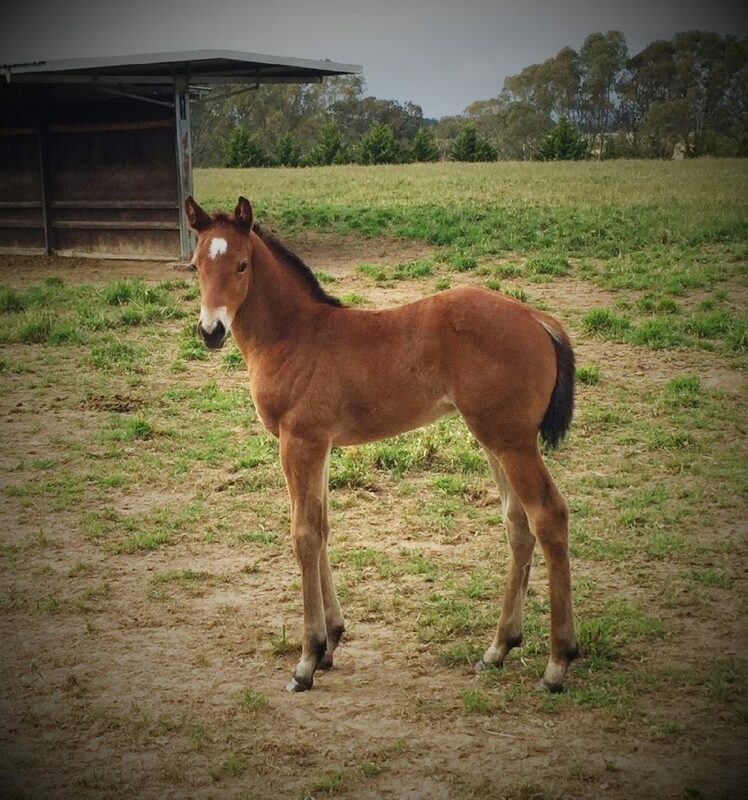 Dorrington Farm also offers a Pierro filly out of the Magnus mare Missy Cummings. A Listed winner, this is her second foal, from the family of black type winners Lady Knockout, Expunge and Prime Again. Dorrington Farm is gearing up for a busy Premier Sale also when they offer 13 yearlings at the Oaklands complex through Supreme Thoroughbreds. Robert Crabtree takes us through some of his homebred youngsters that will no doubt warrant the attention of an increasingly international and sophisticated buying bench. 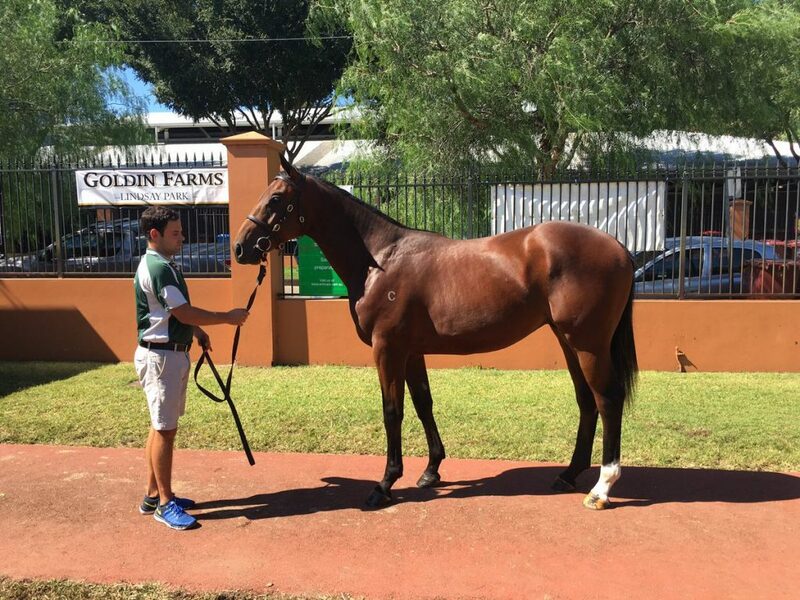 “The Zoustar x Flokkati filly is a very nice yearling, and off the back of Zoustar winning the Magic Millions with Sunlight, I would expect his progeny to be in demand. 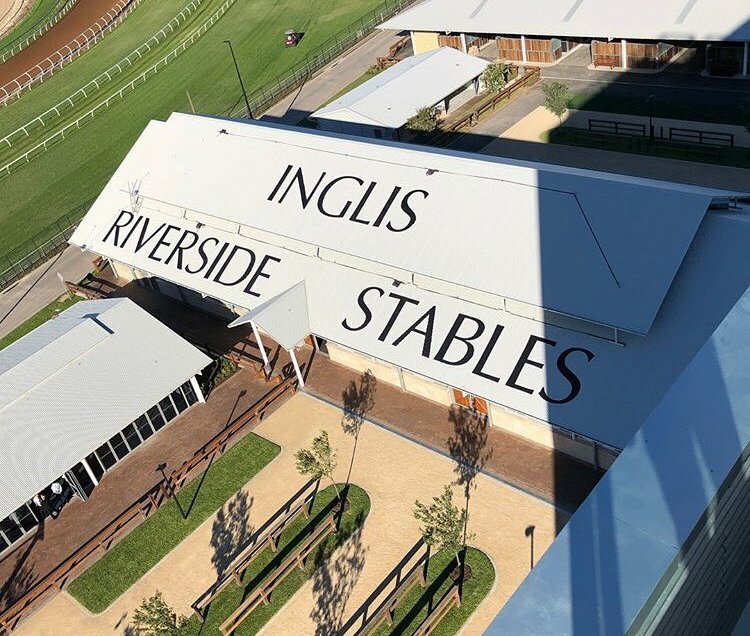 Many of Victoria’s best bred yearlings have been catalogued for the Inglis Easter Yearling Sale held for the first time at the new Riverside Sales Complex in Sydney. No less than seven Victorian bred yearlings out of Group 1 winning dams or siblings to Group 1 winners will make the trek north in April. Victoria’s Rosemont Stud is taking 11 lots to Sydney including two Group 1 related fillies. Meanwhile, Lot 197, the I Am Invincible x Lady’s Light filly is a half-sister to South African multiple Group 1 winner Alboran Sea. Rosemont’s neighbour, the esteemed Makybe farm has a boutique but high-quality group of four yearlings selling through Milburn Creek draft. Lot 153 is a Snitzel x Gold Anthem colt who is a half-brother to World Champion sprinter Starspangledbanner while Lot 154 is a Snitzel x Gold Chant half-brother to Group 1 Thousand Guineas winner Amicus. Red Hill’s Morning Rise Stud (selling through the Coolmore Stud draft) will be sending a Fastnet Rock colt (Lot 15) to the sale which is out of dual Group 1 winning mare Anabandana. Nagambie’s Gilgai Farm has just the one yearling in the Easter catalogue but what it lacks in numbers it makes up for it in quality. That special lot is Lot 370, an I Am Invincible x Soorena colt. He is a half-brother to Group 1 Newmarket winner The Quarterback and is also a brother of the $1.4 million Gilgai yearling sold at the Inglis Premier Sale in 2017. The Mornington Peninsula is represented at the Easter Sale by Tarcoola Stud which has a draft of two lots including Lot 430, a Fastnet Rock x Vivacious Spirit colt which is a half-brother to NZ Champion filly Costa Viva & out of a Group 3 winning mare. Also hailing from the southern peninsula are three lots from the highly regarded Musk Creek Farm (selling through the Vinery Stud draft). Not far up the road at Bunyip, Ampulla Lodge will be preparing two pinhooked lots for Easter, a More Than Ready colt and a Street Boss colt. Other Victorian farms with lots in the Easter Catalogue include Dorrington Farm (3 lots), Hesket Bloodstock (4 lots), Glentree Downs (1 lot) and David Brideoake (1 lot). Woodside Park Stud will six lots to Sydney which includes some quality yearlings by the farm’s resident stallions Written Tycoon and Zoustar. A total of seven Victorian based sires are represented in the catalogue. All progeny of these sires are VOBIS Sires eligible and thus able to race in the inaugural $1 million Showdown in 2019. Written Tycoon (8 lots) and Zoustar (13 lots) are prolific as is Darley Northwood’s first crop sire Brazen Beau (9 lots). Darley’s Street Boss and Blue Gum’s Manhattan Rain have 1 lot each in the catalogue and Darley’s Reset has two lots. The Easter Yearling Sale will be held from Monday April 9th until Wednesday April 11th. Swettenham Stud’s shuttle stallion Mshawish, the dual Group 1 winning son and the highest earning entire of champion Medaglia d’Oro, has become a proud father for the first time for shuttle partners Al Shaqab and Taylor Made Farm. 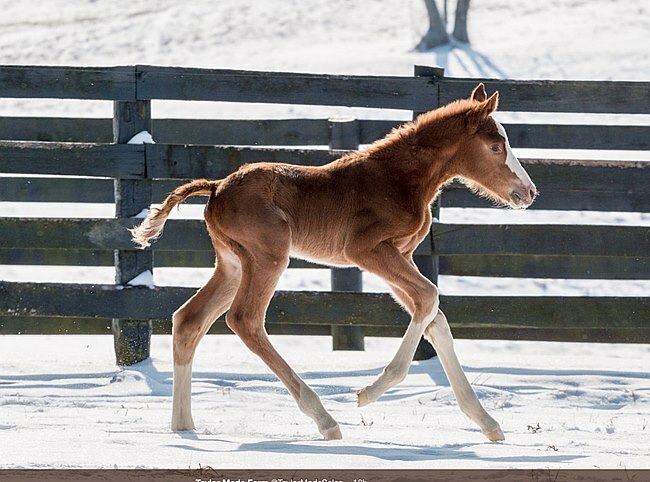 While Australia currently has sunny skies and hot days, his first foal was born in Kentucky in a blanket of snow. Frolicking in the white powder, his frozen surrounds will soon transform into the lush green pastures of spring. A strong, well-grown and healthy colt, he was foaled at Taylor Made Farm on January 18th. The second foal for his dam, Ourperfectpastor, a daughter of Pleasantly Perfect, she is a half-sister to Group 3 winner Evil Minister (Deputy Minister) and stakes-placed winner Echeverria (Awesome Again). Swettenham Stud’s, Adam Sangster is now eagerly waiting for Mshawish’s first Australian foals to arrive later in the year. Mshawish is the definition of a successful, truly international racehorse. He was an elite, versatile and tough five-time group race winner in five countries. Equally talented on dirt and grass tracks, he defeated over half a dozen Group 1 winners around the globe, retiring sound with nine wins, five at group level, from 24 starts, and amassed earnings of over AU$3.1 million. Being by champion sire Medaglia d’Oro, Mshawish also boasts an impressive dam line. Out of the mare Thunder Bayou (Thunder Gulch), he is from the well-performed family of multiple Group 1 winning champion two-year-old filly, Halfbridled and Group 2 winner, Lu Ravi. His second dam Bayou Storm (Storm Cat) produced stakes winners Meteorologist and Bayou Breeze. Swettenham Stud is committed to giving their breeders every opportunity to access the proven international bloodlines of this impressive young stallion, having stood Mshawish for a realistic fee of $16,500 for the 2017 season. It was something old and something new for two-year-old winners sired by Sun Stud’s stallions over the weekend. On Saturday, Sun Stud’s established sire Magnus had an impressive two-year-old winner in Enbihaaar won on debut at Morphettville. Owned by Shadwell Stud and trained at Lindsay Park, the Dorrington Farm bred son of Magnus was bought through the Magic Millions Gold Coast sale last year and now looks set for a crack at the Blue Diamond. Then on Sunday, Sun Stud’s first crop sire Fighting Sun recorded his first Australian winner and second overall, with two-year-old colt Sunfighter winning at Wyong on Sunday. New Zealand based filly Platinum Mam’selle opened the account for Fighting Sun by winning stylishly at Trentham the weekend previous and now Sunfighter has added his name to the sire’s honour roll. The Brad Widdup trained colt made a winning debut over the 1100 metre journey, with Christian Reith sitting outside the leader before asserting his authority in the straight and holding the challengers at bay to secure a soft 1l victory. Bred by long-term Sun Stud client Paul Whyte, the powerful grey colt is the second foal of the winning Darci Brahma mare Sky Flyte and is raced by Jadeskye & Samaco Racing. An undefeated son of Northern Meteor, Fighting Sun has covered over 550 mares in his first four seasons at stud and his yearlings have sold up to $220,000 – off an advertised fee of just $13,750. Added to all of this, Enzo’s Lad won the Group 1 Telegraph Stakes in New Zealand over the weekend. The son of Testa Rossa was part of Sun Stud’s (then Eliza Park International) Inglis Premier Sale draft of 2014. He is the second Group 1 winner out of Sun Stud’s Premier Sale draft that year which also included Champagne Stakes winner Pasadena Girl. Fascinatingly, boxed just metres away also in Barn G that year was a Gilgai Farm bred yearling daughter of Myboycharlie…yep, you guessed it, Jameka! Whoo hoo for Master’s Miss Wahoo! 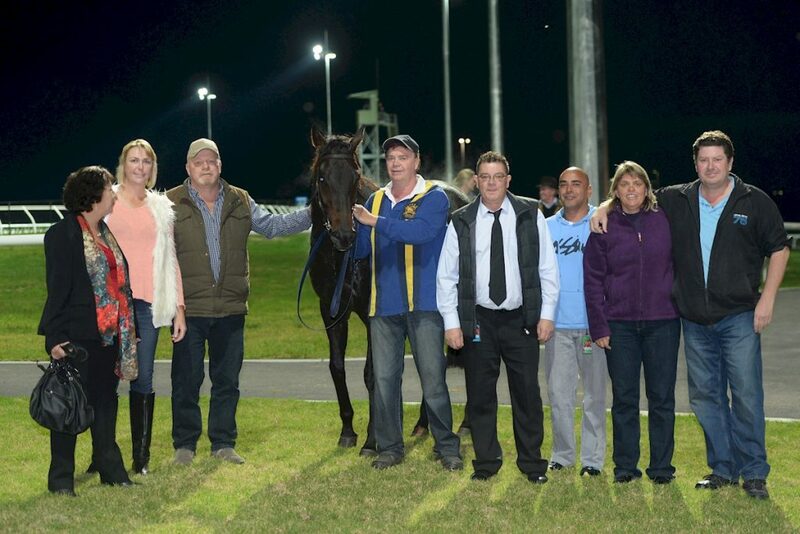 The Master Of Design filly broke the 1300 metre course record on the Parks circuit clocking 1.16.60s. That lowered the previous mark set by Bagman six years ago. She had a long-head to spare after a duel down the straight with heavily-backed Victorian mare Freehearted on Saturday. “My filly just did not want to lose,” jockey Jamie Kah declared. 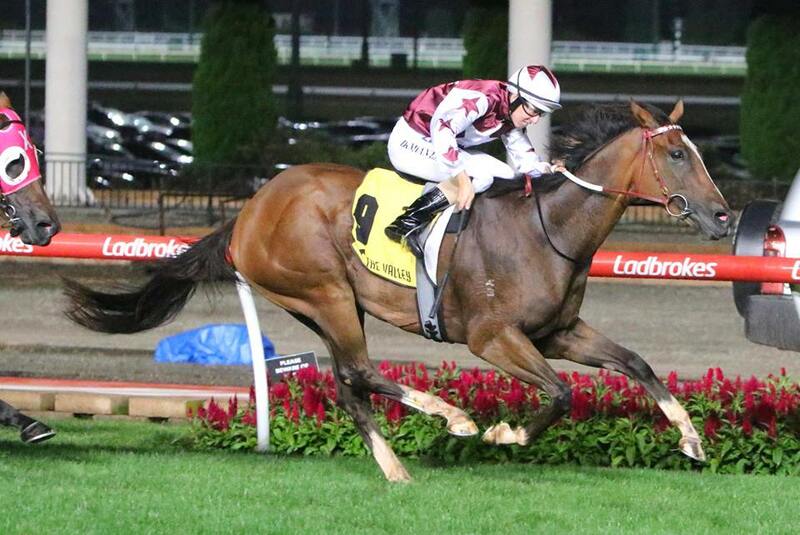 McEvoy will now set her for the Group 3 The Vanity (1400m) at Flemington on February 17. The lightly raced filly had won first-up at Morphettville on Boxing Day after time off recovering from knee surgery. “She had a bone chip removed after pulling up lame at Sandown 12 months ago and we’ve taken our time bringing her back,” McEvoy revealed. “To win second up at 1300 metres and in track record time, speaks volumes for the filly. “I’ve always believed she was a black-type quality galloper. Miss Wahoo is one 27 individual winners this season by Greta West Stud stallion Master Of Design. His last-start Geelong winner Knight Commander is another lightly raced sprinter with the potential to keep progressing for trainer Darren Weir. Knight Commander won on debut at Kyneton in November and put more than three lengths on his rivals at Geelong a fortnight ago. Master Of Design (Redoute’s Choice) has 3 colts catalogued for the Adelaide Magic Millions Yearling Sale on March 13. First to parade is Lot 30, Mill Park Stud’s half-brother to Group 3 SAJC Chairman’s Stakes winner Waging War. Full details of the three lots can be found at the Magic Millions Online Catalogue. The Federal Government’s announcement regarding enhanced access to ‘Horse Breeder’ visas is warmly welcomed by Thoroughbred Breeders Australia (TBA). The decision follows a lobbying campaign led by TBA to put the ‘Horse Breeder’ occupation category on the medium and long-term strategic skills list (MTSSL) for the purposes of 457 visas. By putting ‘Horse Breeder’ on the medium and long-term list, visa holders can work in Australia for up to four years and also have a path to permanent residency – rather than being required to leave the country after just two years under existing arrangements. 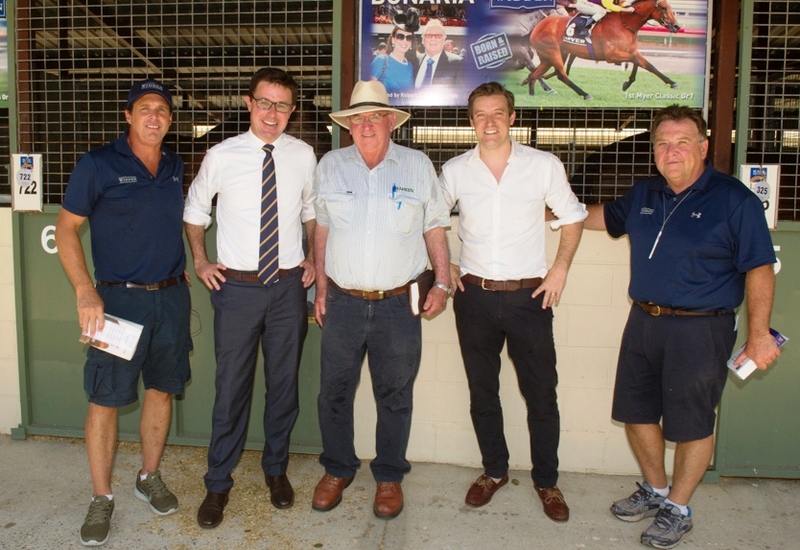 “Access to skilled staff is one of the biggest issues in the Australian Thoroughbred breeding industry and that is why TBA has been closely engaged with the government and Members of Parliament to bring about this key decision,” TBA CEO Tom Reilly said. “The number of staff recruited from overseas to fill these visa positions has been relatively small, but the value of these skilled and experienced staff is enormous. Emphasising the importance of access to skilled staff, in a survey of Australian breeders undertaken by TBA last year, 95% of breeders stated that the supply of competent staff is a critical issue in the Australian breeding industry. Some 85% of breeders also indicated that, compared to 10 years ago, it is much harder to find competent staff. Mr Reilly said TBA undertook significant work, including with other industry stakeholders, to see this decision come to fruition. “Our strong case was made in a detailed submission to the Federal Government late last year explaining how our industry could be negatively affected without access to long-term visa arrangements.” Mr Reilly said. TBA is also mindful of opening up opportunities for local staff. At the end of last year Skills Impact Australia signed off on a new Certificate III in horse breeding, following input from TBA. This new course will enable TAFEs to offer apprenticeship level programs in breeding which have not been available in some years. “It is vital industry and training institutions now work closely together to ensure the new Certificate III course is a success with strong enrolments,” said Mr Reilly. A major international investor in the Victorian breeding industry, Yulong Investments, has announced a significant expansion of its management team this week. Yulong Investment Group, the parent of Yulong Investments (Australia) Pty Ltd is pleased to announce the formation of an executive management team to head its rapidly expanding global equine operations. Chaired by Mr Zhang Yue Sheng himself, the appointment of Mr Eric Koh as Chief Executive Officer and Mr Sam Fairgray as Chief Operating Officer to the Group comes perfectly timed as Yulong Australia embarks on its next phase of investments in the industry. “Our Australian operations are well looked after by highly experienced and knowledgeable Rick and Christie Woodard (formerly of Yallambee Stud). Their presence within the Group adds great strength to the team as we grow and expand,” the Yu Long Group said. “Of well-bred racing and breeding horses, farm and land acquisitions, setting up of racecourses in China, the next phase of expansion will see Yulong foster deeper presence in the Australian horse industry and other horse racing and/or breeding countries the likes of New Zealand, Ireland, UK and Singapore, among others. 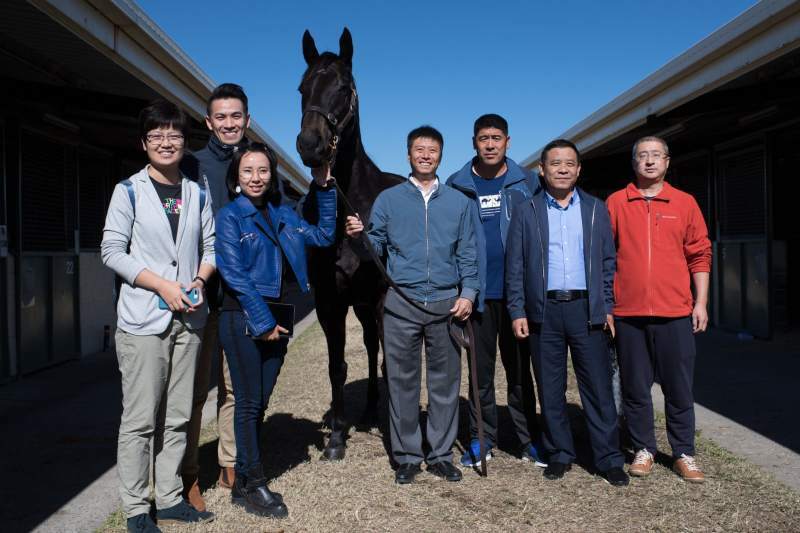 Yu Long Part will offer its historic, first ever homegrown yearling draft at this year’s Inglis Premier Sale. The high quality offering of yearlings includes a Not A Single Doubt filly which is a sister to dual Group 1 winner Extreme Choice and an Execeed and Excel colt which is a sibling to Group 3 winner & Group 1 placed Allergic. Full details of the draft being prepared by the Woodards and the Yu Long Park team are on the Inglis sale page. Erinvale’s John Kenneally celebrated over the weekend following the win of the farm’s sales graduate, 3YO Age Of Fire (Fastnet Rock) in the Group 1 Levin Classic at Trentham. Offered for sale by Erinvale Thoroughbreds’ through its 2016 draft at the Australian Easter Yearling Sale, he was purchased by David Ellis of Te Akau Racing for $400,000. Always holding the colt in high regard, Ellis believed that Age of Fire was top class, an opinion that was vindicated with the win. With more maturity to come, there is still huge scope for improvement. The three-year-old produced an impressive late charge and having already placed at the highest level, when second in the Group 1 New Zealand Two Thousand Guineas, his dominant victory showed he is a star of the future. Co-trainer Jamie Richards said further big time success was on the cards for the Erinvale sales graduate. “My gut feeling is that we’ll go to the Herbie Dyke Stakes to give him another chance at a Group One,” referring to the weight-for-age feature at Te Rapa on February 10. 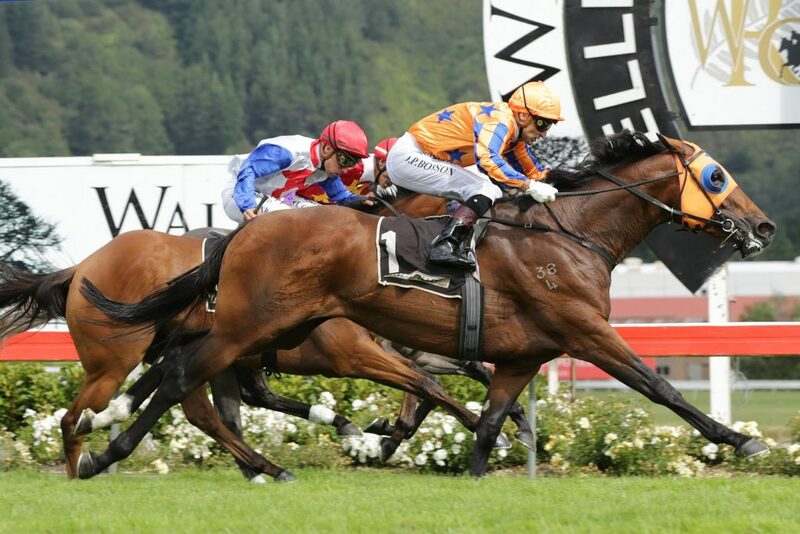 Age Of Fire now shares favouritism for the Group 1 Vodafone New Zealand Derby (2400m). Age of Fire has the overall record of three wins and three placings from six starts with this victory his first in a black-type race. He is the best of three winners from Dragon’s Tail, an unraced daughter of champion sire Galileo from the European family of Champion Miler Fly to the Stars. Erinvale will be offering eight horses at the Inglis Premier Yearling Sale starting on March 4th at the Oaklands Sales Complex. Their full draft can be viewed online here. Twin Creeks’ Kate and Nick Taylor had much to celebrate when its farm graduate Care To Think secured his fifth consecutive victory in winning the Magic Millions Cup over the weekend. The Taylors’ Twin Creek operation consists of a 280-acre property situated in the heart of the Samaria Valley, between Mansfield and Benalla. “We are absolutely thrilled for all the owners and his trainer Matt Dunn, and want to thank all the hands-on staff that now care for our ‘Slippery Madam’ colt,” Kate Taylor said. Care To Think is from their Hussonet mare Slippery Madam, a half-sister to Group 1 winner Hard To Get and Group 3 winners Fumble and Reputed Groom. She hasn’t had a foal since Care To Think in 2013, but that may change next breeding season. “We will definitely consider breeding with her again next season,” said Kate. 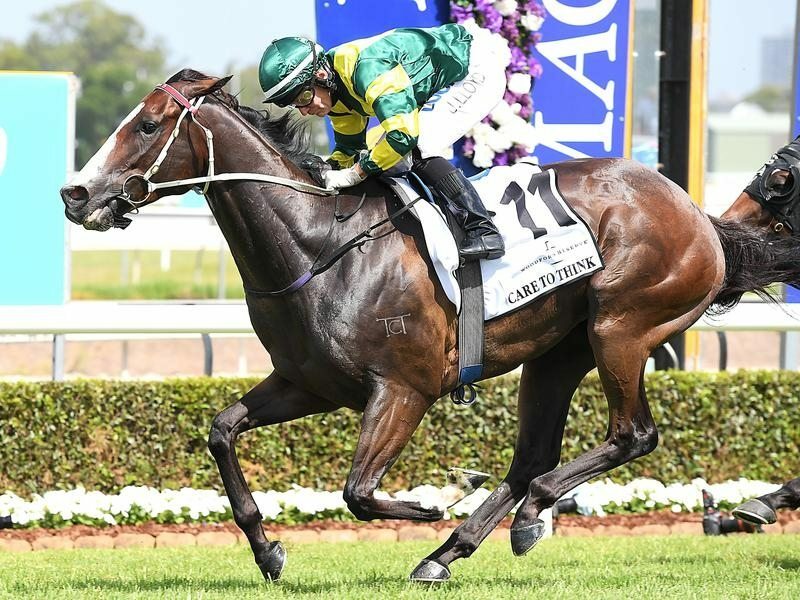 Care To Think was her fourth foal and was sold through the 2015 Magic Millions National Yearling Sale where he was purchased bloodstock agent Neil Jenkinson for the bargain basement price of $16,000. “He had great presence about him,” Jenkinson said. Murwillumbah trainer Matt Dunn has labelled Care To Think the best horse he has trained and jockey Jeff Lloyd marveled at how the four-year-old keeps winning against the odds. 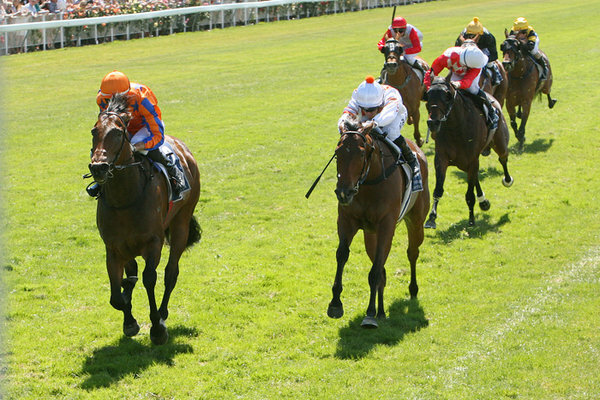 Dunn has indicated a Doncaster Handicap is a strong possibility in the autumn for his charge. Back at Twin Creeks, the Taylors remain passionate about foaling a handful of mares for a loyal group of clients that look to breed to race. “We are a small operation, which I love, as it means I can get to know the mares and the youngsters individually and pick up any problems quickly…that is something I pride myself on,” Kate said. The popular front-runner Burning Front was back in the winner’s circle when the VOBIS pin-up boy secured success in the Listed Chester Manifold Stakes at Flemington. The victory prompted his proud breeder and part-owner Justin Lovatt to reflect on the grand galloper’s wonderful career. A career that has seen him win an amazing 19 races (including 5 stakes wins) with a further 20 placings to his credit from 57 starts. One that has seen him amass $1,394,240 million in prize money. A pretty good effort for a homebred by a not so commercial stallion out of a mare who didn’t manage to break her maiden in 14 starts. And as if Burning Front had not given his owners enough reason to smile, he has also earned Lovatt the accolade of VOBIS Owner Of The Year. Lovatt was delighted to be presented with the award last month at the Victorian Breeders Awards and happier still that Burning Front was named VOBIS Horse Of The Year. 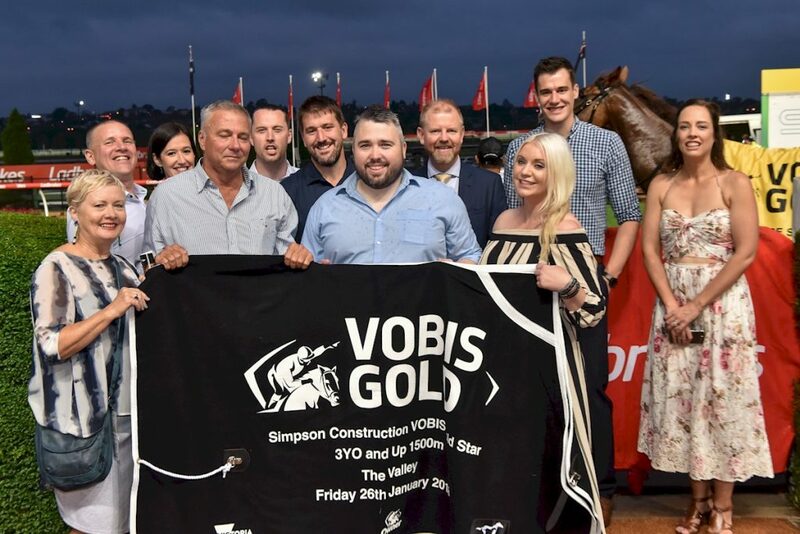 The VOBIS scheme’s all-time highest prize money earner, Burning Front has earned $515,000 VOBIS dollars and has won four VOBIS features; the VOBIS Gold Star (twice), the VOBIS Gold Eldorado and the VOBIS Gold Mile. On Australia Day, Burning Front will be seeking a third consecutive win in the $150,000 VOBIS Gold Star at Moonee Valley. “We just could not be prouder of everything that Burning Front has achieved,” Lovatt said, noting that he also has a very special place in his heart for the gelding’s dam She’s A Knockout. Also dam of the Flemington winner Apollo Creed and the five times winner Cajo Kellila (in turn dam of two times winner Autonomous), She’s A Knockout added a fourth winner to her record with four-year-old Casino Star saluting at Albury on January 4th. Notably it took Casino Star five starts to break his maiden. Burning Front required the eight starts before he chalked up a win back in April 2014. “His record-breaking achievements have been a great advertisement for Victorian breeding,” he said. Meanwhile She’s A Knockout foaled a Reward for Effort colt in November last year and was covered by Swettenham Stud’s champion miler Toronado a few weeks later.